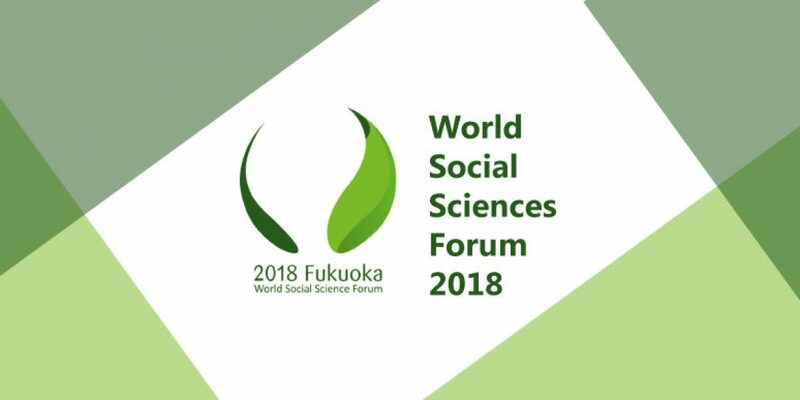 The 2018 World Social Science Forum will take place in Fukuoka, Japan, from 25 to 28 September 2018. The theme of WSSF 2018 is “Security and Equality for Sustainable Futures”. The 2018 World Social Science Forum now invites authors to submit individual abstracts for participation in Specific Panels or Topical Sessions, and for posters. Please note that a call for sessions closed on 30 September 2017, and it is no longer possible to submit proposals of sessions. Following the Call for sessions, certain panels are looking for one or more participants. The list of panels and associated abstracts open for additional speakers can be found under Parallel Sessions Ⅱ (Open for Papers) (external site). Depending on the number of speakers in a particular session, presenters are expected to talk for about 15 and no more than 20 minutes. You can apply for up to two specific panel sessions. We are also inviting abstracts on Subtheme 2: Cybersecurity, cyber-attacks, and hybrid warfare. Topical Sessions involve four to five presenters, each providing an initial input of a maximum of 10 minutes, followed by a discussion between the presenters and the audience. Topical Sessions are expected to be interactive and engaging. The list of Topical Sessionsindicates the topics for which individual abstracts are welcomed. Proposals of abstracts on other topics will not be considered. Poster proposals are invited on the various Forum subthemes. Accepted posters will be displayed prominently in the venue. The programme will allocate time for authors to present their poster and interact directly with the participants. For more information, please see the 2018 Forum website. The series of WSS Fora is one of the most prestigious scientific activities of the international Social Science Council (ISSC). At a recent joint meeting, the Members of the ISSC and of the International Council for Science (ICSU) decided to merge and form the International Science Council, a new, merged organization that aims to speak for the social and natural sciences at the global level.